The AEF holds U.S. Fish & Wildlife Service and Tennessee Wildlife Resources Agency permits to conduct public education programs using trained non-releasable birds of prey, to leg band captive-hatched and rehabilitated birds, and to conduct raptor rehabilitation and release programs. The AEF holds a 4-Star Rating from Charity Navigator, the nation’s largest and most-utilized evaluator of charities. We are extremely gratified to be among their highest-rated non-profits. The AEF has been certified by America’s Best Charities, and has been awarded its Seal of Excellence. 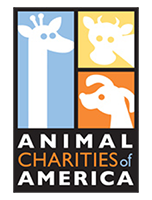 The AEF is a member of Animal Charities of America (affiliated with Independent Charities of America). Upon rigorous independent review, the AEF has been able to certify, document, and demonstrate on an annual basis that it meets the highest standards of public accountability, program effectiveness, and cost effectiveness. These standards include those required by the U.S. Government (Office of Personnel Management) for inclusion in the Combined Federal Campaign, probably the most exclusive employee fund drive in the world. Of the 1,000,000 charities operating in the United States today, it is estimated that fewer than 50,000, or 5 percent, meet or exceed these standards. The AEF is a member of the International Association of Avian Trainers & Educators (IAATE) that fosters communication, professionalism, and cooperation among those individuals who serve Avian Science through training, public display, research, husbandry, conservation, and education. IAATE recognizes its role in and responsibilities to the continued existence of zoological parks, public and private institutions housing birds. 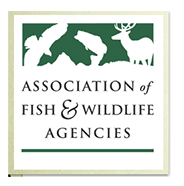 The AEF is a member of the Association of Fish and Wildlife Agencies that represents all of North America’s private, state and federal fish and wildlife agencies. The Association promotes sound management and conservation, and speaks with a unified and collective voice on important fish and wildlife issues. The organization provides its member agencies and their senior staff with coordination services that range from migratory birds, fish habitat, and invasive species, to conservation education, leadership development, and international relations. It also provides management and technical assistance to both new and current fish and wildlife leaders. 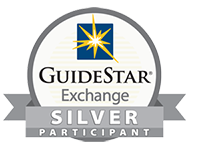 The AEF has achieved a Silver Rating on Guidestar which is one of the world’s largest source of information on nonprofit organizations.